This post is sponsored by Huggies®. All opinions are 100% mine! My twin girls will be in 5th grade this year, and their school supply lists included a bunch of white binders–one for each subject. They thought it would be fun to “fancy” them up a bit, and of course, I was totally behind that! 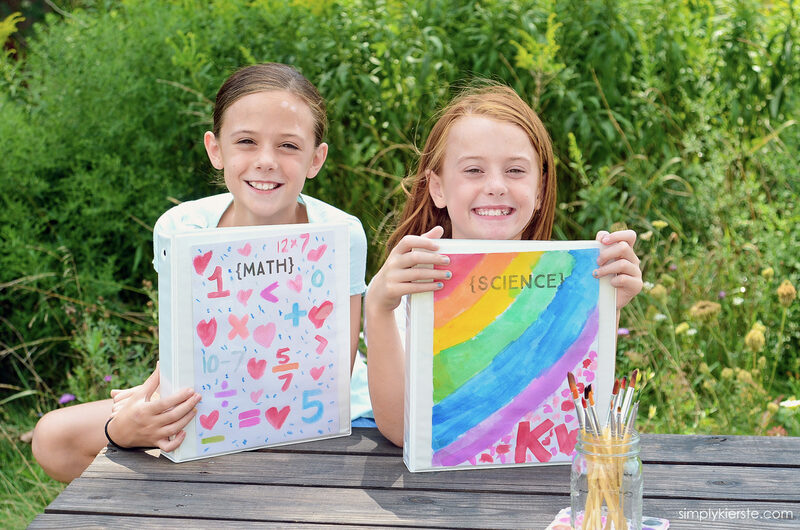 We decided to design binder covers with watercolor paints, and not only did they have so much fun making them, they love how they turned out! Aren’t they so cute? I love seeing their individual personalities come through their designs, and the binder covers will be perfect for the school year. And…they are so easy to make! 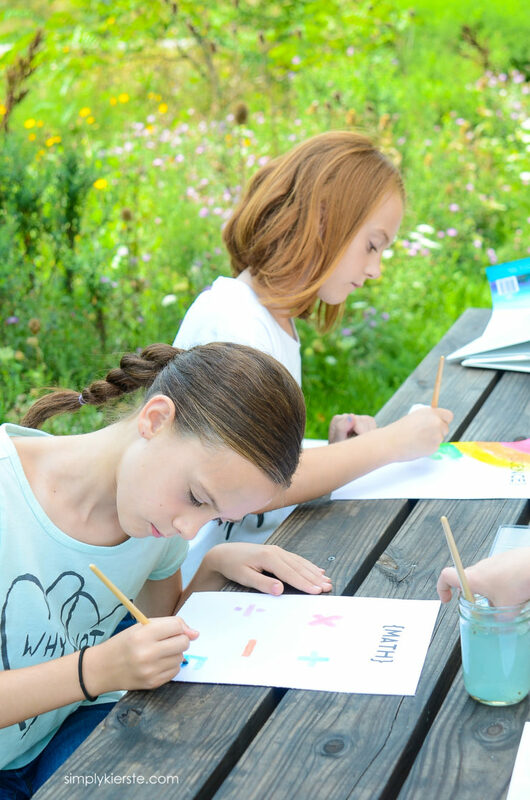 We had so much fun, and it was so easy for the younger kids to be involved, and do their own watercolor paintings. 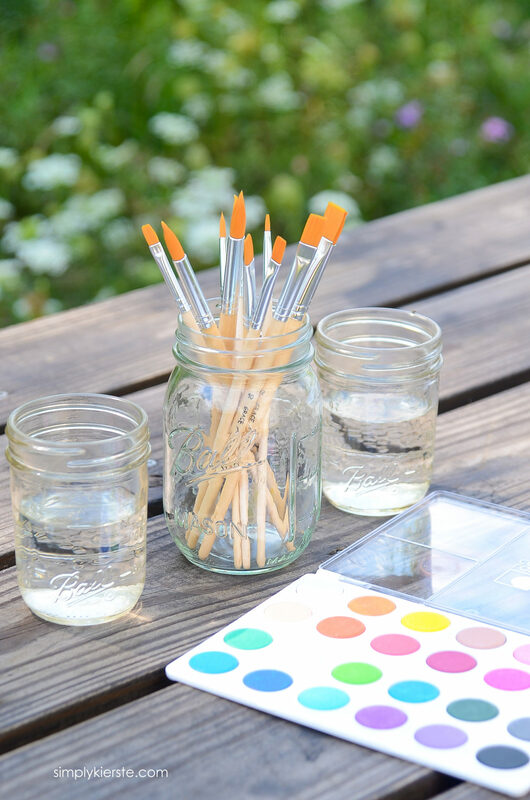 We set up everything we needed, and enjoyed a delightful summer afternoon painting outside. The best part about this project is that there are really no directions! The kids are able to paint exactly what they want, and their creativity is the only requirement. I did choose to use specific watercolor paper, rather than just plain white paper. It’s thicker, and holds the paint really well, and we found that the paint dried much faster. The one thing I did do ahead of time was print “math” and their other subjects on the watercolor paper before we started painting. The paper is 9×12, so I used a paper trimmer to cut it down to 8.5 x 11, so it would fit in my printer. It just took a few minutes, but it’s totally optional. 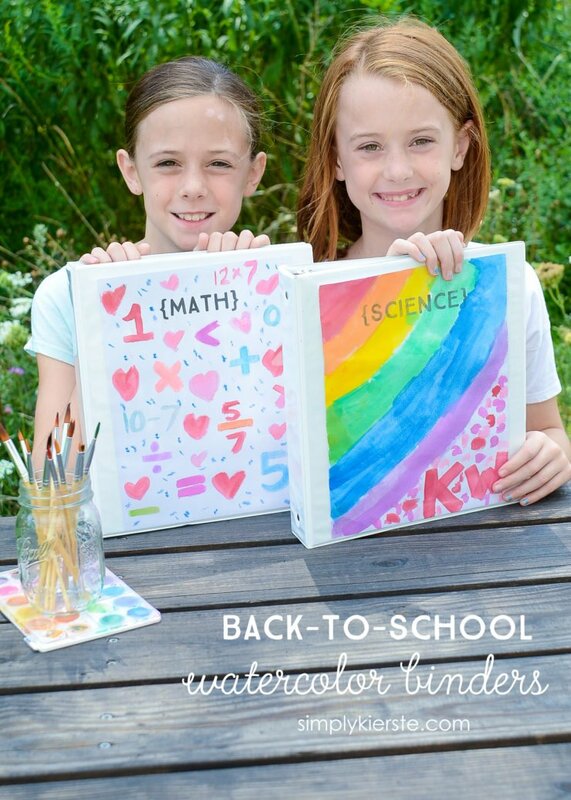 The finished product..they’re ready for school! As to be expected with kids and watercolor paints, there were some messes along the way. 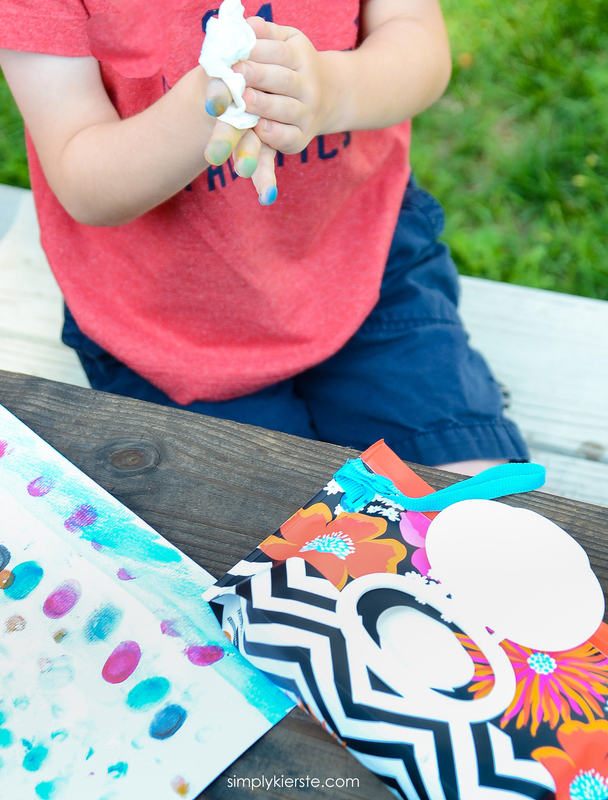 Spilled paint water, paint on the table, and on little fingers were also part of the afternoon, but thanks to Huggies® Wipes, clean up was a cinch! They mopped up the water, gently removed paint from fingers, and wiped off the paint from the table–I just love the triple layers that are gentle on my little ones’ skin, but thick enough to clean up the mess easily and quickly. I always have them on hand–I couldn’t do without them! Don’t forget to join Huggies® #HugTheMessSweepstakes social media sweepstakes–you can enter on both Twitter and Instagram. You can also find Huggies® on Facebook for coupons, ideas, and more. These Peanut Butter Chocolate Chip cookies are so yummy, and perfect for lunches or after school snacks! 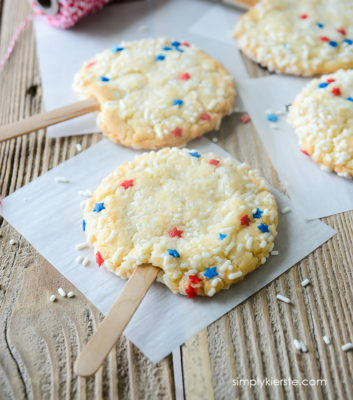 Sprinkle Cookies are so fun to make together, and to eat!